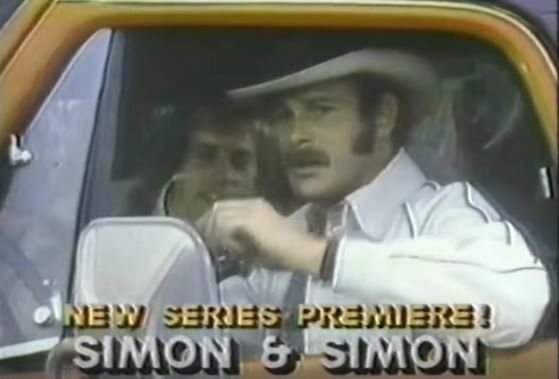 Happy Anniversary, Simon & Simon ! CBS Premiere Date: November 24, 1981! 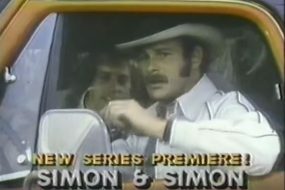 „Simon & Simon features two brothers who run a private detective agency in San Diego, California. Richard „Rick“ Simon (Gerald McRaney, „Major Dad“) is a street-smart Vietnam vet with blue-collar tastes. His college-educated younger brother, Andrew Jackson „A.J.“ Simon (Jameson Parker, „Prince of Darkness“), is more sophisticated and straitlaced. „Notable series guest stars include Delta Burke („Designing Women“), Morgan Fairchild („Falcon Crest“), Dennis Franz („NYPD Blue“), Peter Graves („Mission: Impossible“), Alan Hale Jr. („Gilligan’s Island“), Jerry Orbach („Law & Order“), Joe Pantoliano („The Sopranos,“ „The Matrix“), Markie Post („Night Court“), Giovanni Ribisi („Ted,“ „Friends“), Marc Singer („The Beastmaster“), Marcia Gay Harden („The Newsroom,“ „Mystic River“), Eddie Albert („Green Acres,“ „The Heartbreak Kid“) and John Astin („The Addams Family“).